Abadía de Acón is located in the heart of the D.O. Ribera del Duero, in Castrillo de la Vega, Burgos. The original cellar, created out of rocky clay, is one of the deepest and largest in Castrillo de la Vega. 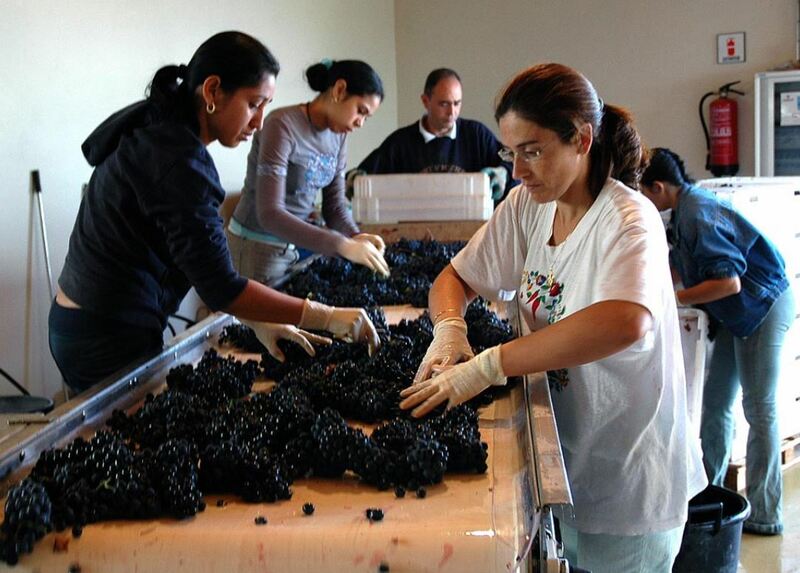 Here, during many centuries, our family made wines using traditional methods. In 1953 our grandfather, Norberto Carrasco, built concrete vats in the cellar and, through a wise combination of concrete and wood, managed to make graceful, fruity, mature and elegant wines. Since then we kept taking care of the land and vineyards, making wine thanks to the traditional way and using the knowledge necessary to realize our current project. Today it is Jose Antonio Carrasco who has inherited his grandfather's wisdom to bring forward a great wine to his children and grandchildren so that our company remains during a long time. The vineyards are exhaustively monitored each year to ensure that the grapes that arrive at the winery are of the highest quality. The land and the vine are fertilized exclusively with organic fertilizers. This achieves a production of less than two kilos per vine; a limited production in which all of the soil’s minerals and nutrients are concentrated. We also refrain from using herbicides or any other aggressive treatments on the vineyards.